We all know that sleep is an important aspect of our health. Without getting an adequate amount of sleep we can become easily agitated, irritable, tired, and it can lead to a cyclical pattern of poor sleep. This blog post will present recent research showing the relationship between screen time, behavior, sleep quality as well as talk about steps you can take to make screen time guidelines and tips for a good night’s rest. To avoid the possible negative repercussions of screen time, it is important to set up guidelines to limit access. 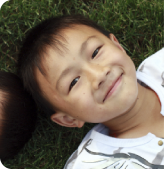 The AAP recommends the Family Media Use Plan tool, launched by healthychildren.org. (3) It is a easy tool to help families set up rules with screen time. Guidelines for screen free zones and times, device curfews, how to balance online and off-line time, charging devices outside of the bedroom, and also discussing privacy settings are all recommended. For the Family Media Plan to be successful, it is important for everyone honor it. Another recommendation would be to make screen time something that can be earned through good behavior, following directions, finishing chores and homework. A maximum amount of minutes that can be earned should also be established. This model allows good behavior to be rewarded, which is great positive feedback for many children and adolescents. When it comes to bedtime, starting a routine is important. Putting a curfew for media devices at least 1 hour before bed reduces any stimulating effects of shows and games. This allows the brain and your child to unwind and get ready for sleep. 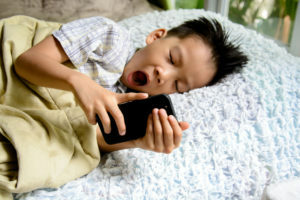 Making changes or sticking with a Family Media Plan may be a difficult step for many families, but knowing that these steps can improve sleep quality and reduce any negative consequences of excess screen time makes it worthwhile. Summer vacation is in full swing and the weather is finally starting to become sunnier. This is usually the time when trips, camps, and family outings are planned. Planning ahead and being prepared while on the road is key for a successful trip. Here are 5 summer travel tips to remember to have a fun and safe summer! 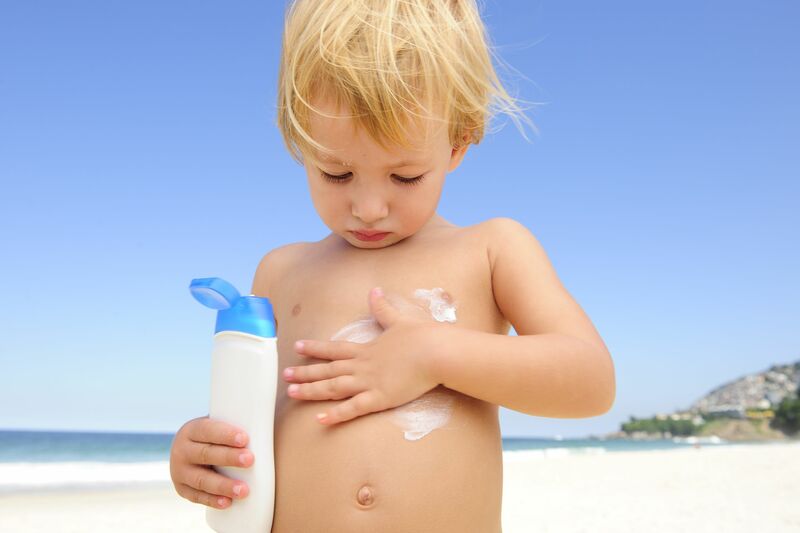 It is important to keep your children’s skin protected as they play in the sun. The environmental working group creates a yearly sunscreen guide, which can be seen here: https://www.ewg.org/sunscreen/. You want to select a sunscreen with at least SPF 30 with UVA (ultraviolet A) and UVB (ultraviolet B) protection. Don’t forget to re-apply especially if your child plays in the water. Besides sunscreen, it is important to wear shirts, hats, shorts, pants and sunglasses to shield from the sun’s UV rays. Finding an area where shade is available will help to reduce the risk of sunburns. Schedule outdoor activities for morning and evening hours to reduce peak UV rays. Regular hand washing before and after activities is key to preventing spread of germs that can be picked up at the airport, restaurant, car, or pool. Making sure the water is warm and your child lathers that soap for at least 30 seconds before rinsing help to remove germs, dirt, chemicals, and oils. If soap and water are not available, hand sanitizer or hand wipe are great to have on hand. The CDC recommends an alcohol-based hand sanitizer that contains at least 60% alcohol. But there are many organic brands that are alcohol free like CleanWell products and EO products which are great alternatives. They do not contain harsh chemicals and the natural antimicrobial properties of essential oils are used. And not to mention, they smell good too! With many children on special diets, it is important to have adequate snacks packed during travel. This will avoid unnecessary drops in blood sugar which can lead to meltdowns or mood swings. 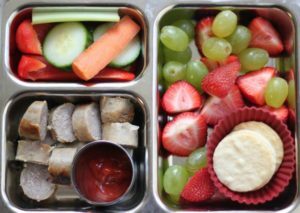 If possible, select restaurants with options that are allowed for your child’s special diet, this will prevent anyone from feeling left out. Carrying digestive enzymes with you is helpful in breaking down foods to prevent any negative gastrointestinal symptoms. Having a first aid kit in the car and in your travel luggage is always great because you never know when you might need it! While you cannot prevent all accidents you can be prepared. Besides just a first aid kit, knowing where the nearest urgent care or hospital is an important landmark to identify. Keep a summer binder for your children, even when traveling. Having a general checklist or schedule of the events of the day is helpful in keeping everyone on time. It may also help reduce meltdowns and tantrums when asked to leave the pool or park. You can create a schedule nightly with your child so everyone is on the same page in the morning. Include the basics like brushing teeth, getting dressed, and eating breakfast. Then include the fun activities with the time allocated for each. It can also be helpful to schedule the day’s events around meal and snack times, it can break up the day nicely. I find it to be helpful for many families to include a recap at the end of the day. It can be at the dinner table or be part of the bedtime routine. Everyone goes around and expresses their favorite part of the day, or choose five words or colors that would describe the day and how they feel. We hope everyone has a safe summer!